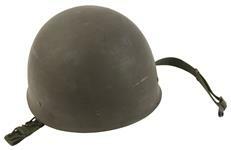 Helmet w/ Seamed Rim Less Chin Strap, Used | Gun Parts Corp. This is an original Vietnam era pot helmet. 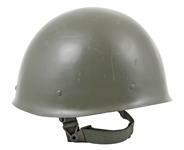 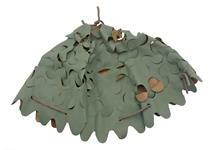 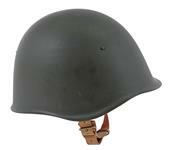 The olive drab steel helmet includes a liner and varying styles of suspension and strap configurations. 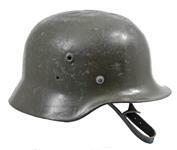 We cannot sort specific styles and the helmet you receive may differ somewhat from the one pictured on our web site. 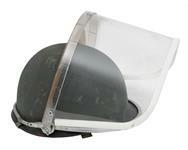 The helmet is in used, fair to good condition with dings, dents, blemishes and chipped or flaking paint. 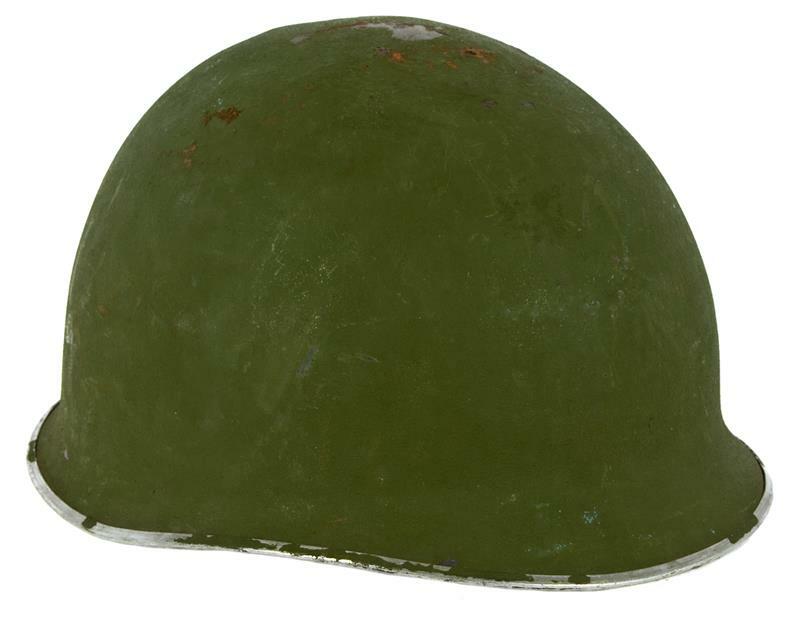 May have a cracked or broken liner. 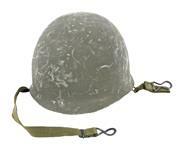 The straps may be damaged or incomplete. Sold as is. 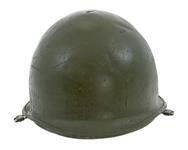 Helmet weighs approximately 3 to 3.5 lbs.